W.O.W. - Wizard Of Wheels Ltd. Since 1987 when W.O.W. offered some small tours, Wizard of Wheels Ltd. had organized all types of mountain bike events for all levels of cyclists. Today though we are completely retired. W.O.W. is a hobby business owned and operated by company President Mike Badyk. 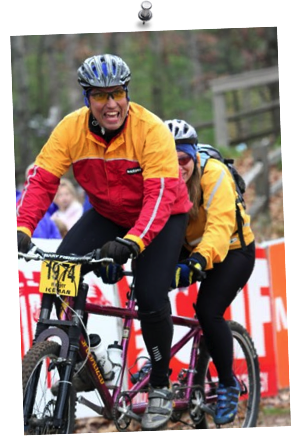 In the non-MTB world, Mike is a retired college prof who taught geography and environmental studies. Elsewhere in the MTB world Mike is also Technical Editor for Canadian Cyclist Magazine. Retirement is the most important thing now.